Thanks for visiting Audiko.net! A perfect occasion to download a free tory ringtones for your iPhone or mobile. Take your favorite measures from your favorite thing - Tory Lanez - Luv (Instrumental)| Remake | Reprod.  By LionBea, Tory Lanez - Luv Feat., Tory Lanez - L.A Confidential, or any other track. Then download the prepared tory ringtones to your mobile device, and enjoy Electronic music by tory every time your phone rings. Depending on a phone model, you can download your ringtone both in the MP3 and m4a formats, supported by both mobile phones and iPhones. Just select a track, and choose free tory ringtones download option.